Sometimes starting a new exercise plan is overwhelming. One nice thing about being more active is that you have a lot of options, but that can also be a struggle. Many people are confused about what types of exercises they “should” do and how they should do them. This post will give you some tips on selecting exercises and making a sustainable (and dare I say, enjoyable?) exercise plan. Keep in mind that any new exercise plan should be approved by your doctor, particularly if you have any chronic diseases or injuries. Use this form to guide you as you plan to safely increase your physical activity. Ultimately the exercises that you choose should be guided by your health goals. While being physically active is beneficial for overall health, choosing the most appropriate and specific exercises will help you achieve your goals most efficiently. Weight Loss – Start out any new weight loss plan by focusing on simply moving more than you move now. Once that becomes a habit, then increase the cardiovascular challenge by spending more time with your heart rate up. Finally, add in strength training to build muscle mass. This extra muscle will use up energy, increasing your metabolism. Endurance – To increase your endurance, start by gradually increasing the amount of time you spend with your heart rate up. In this case, you’re not looking for very intense exercise, but a moderate challenge that you can sustain for longer and longer bouts of time as you train. Then add in strength training, focusing on more repetitions (10+) and lower weights. Strength – Begin by focusing on your form – ask a trainer or friend (or watch in the mirror) to ensure you are performing the exercises safely and effectively. Gradually increase the difficulty, focusing on fewer repetitions (6-8) and higher weights. Focus on muscle balance – if you train one side of your body (for example, your chest), you must also train the other (your upper back, in this case). If you train biceps, be sure to also train triceps. This helps to protect your joints from imbalances that can lead to injury. Make sure to incorporate the recommendations for flexibility into any strength training plan as well. Improved digestion – Yes, physical activity can improve digestion! Moderate cardiovascular exercise can improve circulation to your intestines, helping your body break down and absorb food more efficiently. Another significant factor is stress – stress can wreak havoc on digestion! Consistently performing stress-reducing activities like prayer, yoga, Tai Chi, or meditation can play a huge role in improving digestion. Improved health markers (blood sugar, blood pressure, cholesterol, etc.) – While it varies based on which lab values you’re targeting, most are improved with combinations of cardio and strength training, even without weight loss; however, reducing excess body weight is linked with improvements in blood sugar, cholesterol, and blood pressure. Flexibility – This is a great goal if you’re wanting to improve or maintain movement in your joints and prevent injuries. Anyone can benefit from maintaining flexibility. The key here is consistency. Stretch your muscles and joints regularly. Whether you use yoga, standing stretches, or wall stretches doesn’t matter as long as you are gentle and consistent. This is so, so important to an exercise program. If you detest doing a certain type of exercise, do not plan on or expect that you will do it consistently. That is a great way to set yourself up to either quit or be miserable. Bear in mind that the first few weeks of any exercise program will be difficult since you are not yet trained for the exercise, but I’m not referring to difficulty here. I’m talking about enjoyability – if you hate to dance, don’t join a Zumba class. If you can’t stand being on a cardio machine, don’t commit to a treadmill. Find methods of exercise that you actually enjoy. Sometimes that looks like building a little more intensity into the movements you do in everyday life. For example, if you love to garden and be outside, use a push mower, shovel by hand, or cut your own firewood. If you like to watch television, ride a stationary bike while you do or – one of my personal faves – take a drinking game designed for the show you’re binge-watching and exchange the shots for exercises. These tasks will incorporate fitness into aspects of your life that you do enjoy. Ask yourself a few questions: Do you have the equipment or space to do this activity? Will you need a gym membership? Is there a realistic time in your day to set aside to do this? If the basic logistics aren’t there, find something more accessible. If all else fails, there are hundreds of workout videos on Youtube for any type of workout you can think of. No fees, no membership, no travel, and no need for fancy exercise clothes (unless you want them). 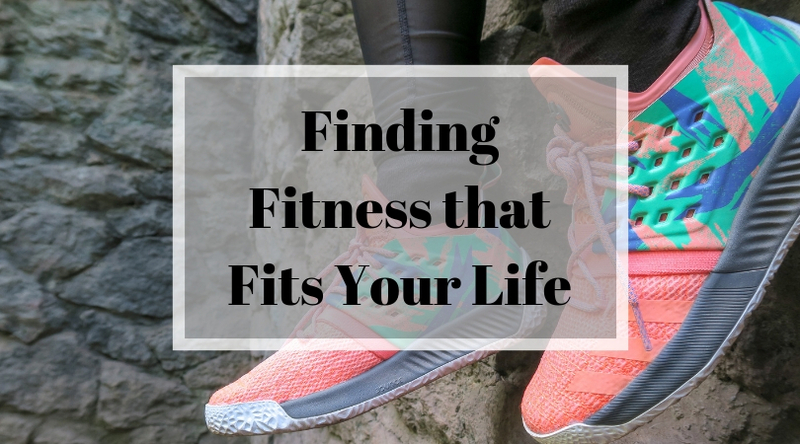 Taking all three of these factors into account can help make sure that your exercise program gets you where you’re trying to go in the most enjoyable way that is realistic for your life. Fitness isn’t always fun and there aren’t too many people who are super jazzed to do their workout every day always, but a little thought and planning on the front end can make a huge difference in the long run. If you find yourself stuck or confused, find yourself a certified fitness professional to help you out. Finding a way to make it work is worth it! Good helpful post. Over time, I’ve come to understand that the particular symptoms of mesothelioma are caused by your develop of water between liner of your lung along with the chest muscles hole. The disease may begin in the upper body region along with spread along with other body parts. Other indications of pleural mesothelioma include weight loss, significant deep breathing problems, temperature, issues taking in food, and bloating in the face and neck locations. It ought to be noted many people with the illness don’t knowledge just about any critical signs at all.